I love living in Oregon. I didn’t originally have plans to stay here after grad school, but as life would have it, I have stayed, and have fallen in love with this place. Having lived such a transient life before moving here, however, it has been difficult at times to adjust to the idea of becoming stationary. As I’ve alluded to before, much of my identity in the past has been wrapped up in being a park ranger in Alaska, in living a life of adventure and travel and outdoors(wo)manship. But deciding to stay in one place for a while has forced me to confront a new reality, to find new ways to engage with my place in the world (geographically, physically, socially, etc. ), and to find new forms of fulfillment. 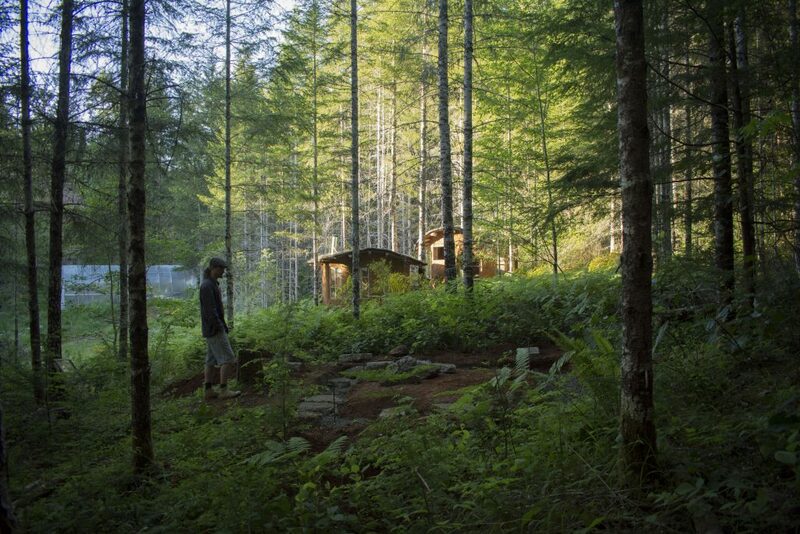 Discovering the art of natural building has been a surprising way for me to become grounded in this chapter of my life. My partner, Asa, initially got me into it earlier this year. 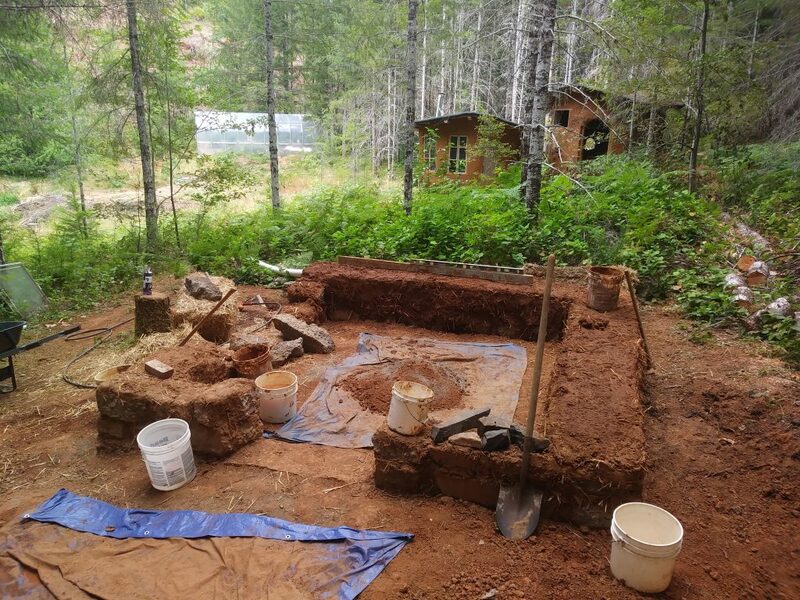 He’s built two cob cottages in the past on his family’s land in Oregon’s coast range, and last winter mentioned that he had dreams of building a cob sauna. “Let’s do it!” I said. Boy, if I had known then what I would be getting myself into! The idea of natural building was incredibly appealing to me. It’s a form of environmentally sustainable architecture, using durable, natural, and local materials as much as possible, in such a way that it blends with the ecology around it. 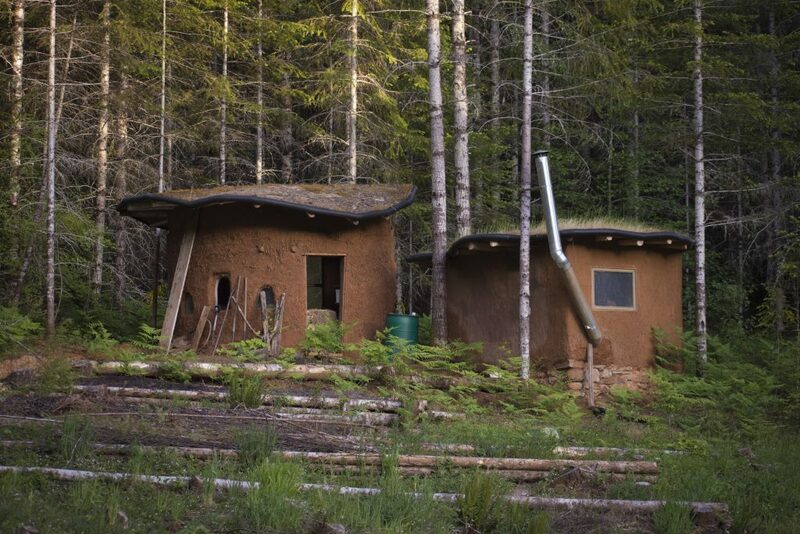 “Cob” is a popular natural building technique that utilizes clay, sand, straw, and water. It comes from the old English word for “lump,” referring to the lumps of clay-rich soil mixed with straw and water that you use to build the walls. Cob structures are built completely by hand, making them accessible to almost anyone willing to learn. 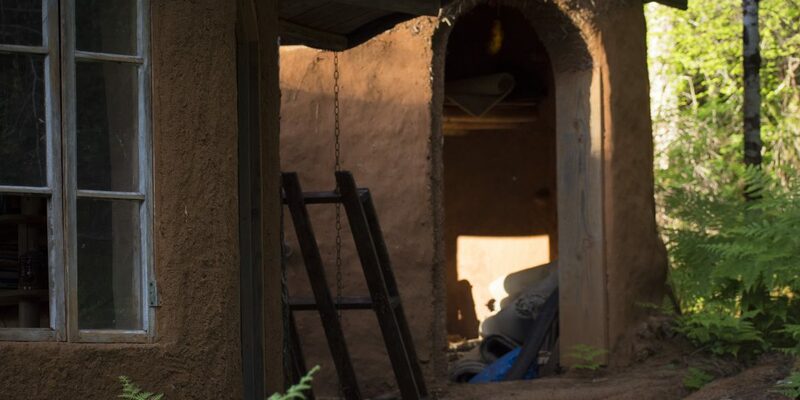 Additionally, because of the emphasis on using natural and local materials, it’s extremely cheap to build, but also incredibly strong — cob structures have been known to last for hundreds of years. 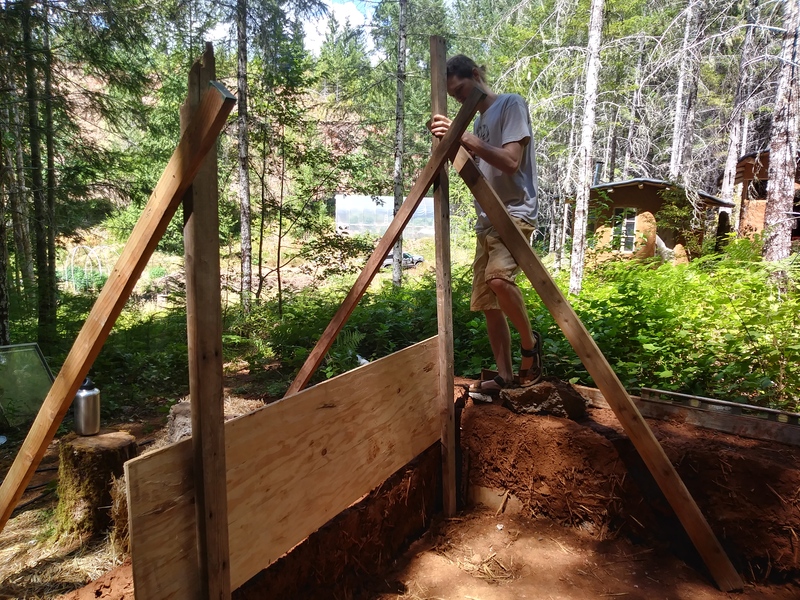 Asa had already cleared a section of land on a hillside on his property, so as soon as the winter rains had stopped (sometime around last May), we began the painstaking process of building a foundation for the 8×8′ sauna on our weekends. First, we dug a trench. We decided that two of our walls — the north and east walls — would be made of straw bales, while the south and west walls would be made of pure cob and straw-clay infill. These are all separate kinds of natural building techniques, but they utilize the same materials and integrate together well. Straw bale walls would help the building go up faster, which is essential if we are to finish the building before next winter’s rains begin. With this method, you stack straw bales on top of each other, and kind of “glue” them together with cob (the clay/stand/straw/water mixture). On the outside of the straw bales, you apply natural plaster, and BAM, you have a wall. Because straw bales are so wide, however, we had to dig the foundation trench extra wide on our north and east walls, which took extra time. Once the trench was dug, we hauled wheelbarrows full of gravel up the hill, and poured it in. 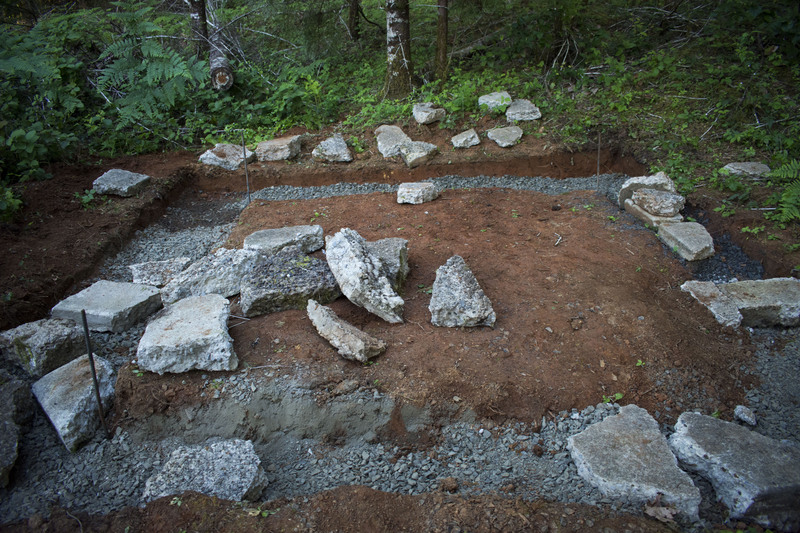 On top of the gravel, we placed heavy chunks of “urbanite,” or broken concrete, which would be our foundation stones. This was by far my least favorite part of the process. This is also where I give Asa major props for being such a patient and amazing partner, putting up with my complaining, swearing, grumbling, and agonizing with nothing but calmness and compassion. Seriously, this man is a saint. Those rocks are freakin’ heavy. Some of them weigh well over 200 lbs. After using up a pile of urbanite near our build site that Asa had collected some years before, we began hitting up Craigslist free ads and collected more rocks from people who were getting rid of their old concrete. I’ve rarely ever been so sore or worn out as I was over the month or so that it took us to build that foundation! The next phase began sometime in late June or early July. Once we had stacked three layers (!!!) of urbanite, we began mixing batches of cob, which would make up the bulk of our wall material. Spread 10 gallons of sand and 5 gallons of clay on a tarp. Slowly add water until it starts to become sticky. Fold the tarp back and forth and step on it to mix. Once it has a uniform clay-ish color and a sticky-wet consistency, sprinkle with straw. Keep folding the tarp back and forth and stomping on it until the straw becomes clay-colored. Keep adding straw until you see it poking out after each fold. When the mixture holds together in a clump, you’re ready to start building with it. From here, you take big handfuls and splat it on, shaping the wall as you go, stitching each layer on to the previous layer by mushing it in with you fingers. It’s slow and heavy work, but rather meditative at times. It’s about mid-August now, and our walls are around 2 feet high. Sometimes the work feels so…. incredibly… slow…. but when I look back on how far we’ve come since May, it’s actually quite satisfying. By the end of each day, you can see a little bit of progress, and know that YOU did that, with your own hands. For this next phase of our building, we’re experimenting with some techniques a little outside the traditional “cob philosophy.” We’ve built a sort of scaffolding that will serve as a mold for our straw-clay infill wall (see image below). 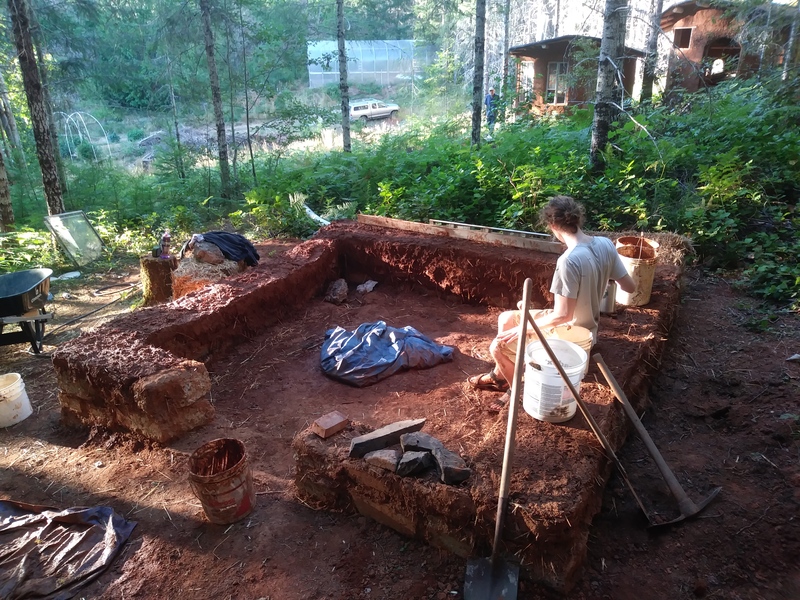 The idea is that we will build cob up against the plywood, with pockets that we will fill with straw-clay infill (literally just a mixture of straw and clay). Once it dries, we remove the plywood, and have a nice, flat wall on the inside. We’ve also inset wood anchors to which we will attach the cedar planks that will make up the interior walls. So this is where we are now. It’s been a fascinating process, a fulfilling project, and I’ve learned so much already. I have no idea if we’ll be able to finish it before the winter rainy season, but we’re going to keep plugging away at it and hope for the best!